An artwork gets created live in auction? Well, that’s a first for the world of art. 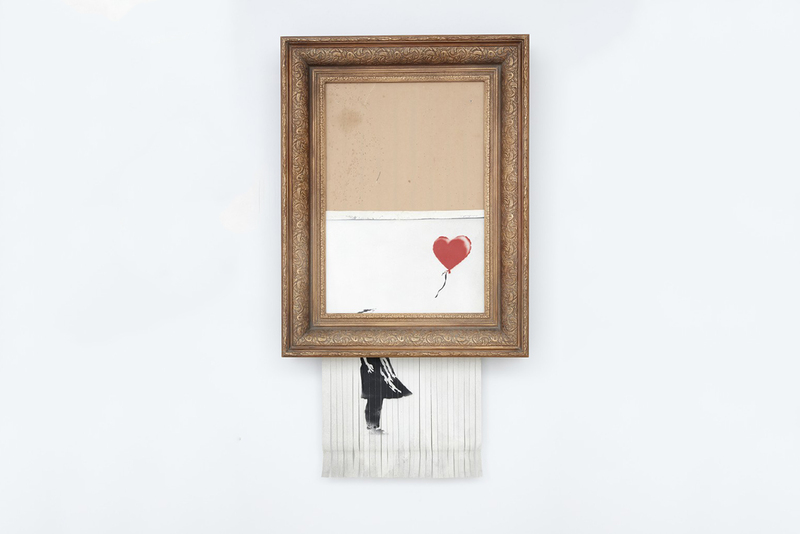 An update is here on Banksy’s headline-making stunt at Sotheby’s from last Saturday, and it is very a la The Ugly Duckling – the half-shredded Girl with Balloon is now a newly created work titled Love is in the Bin, whose sale was confirmed by the auction house. 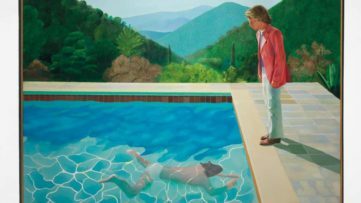 The buyer confirmed their interest in the piece and now owns ”a piece of art history”, according to a press release released on October 11. 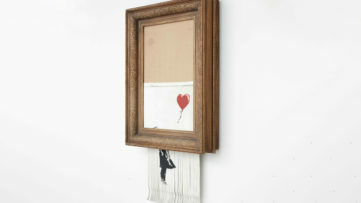 As we are all still vividly remember, Banksy’s Girl with Balloon got half-shredded by a cutter secretly installed within the frame just as the gavel fell to announce the sale at Sotheby’s Evening Sale of Contemporary Art on October 5. Among the many question posed by the prank, there was also the one of whether the 1.4 million dollar bills that the new owner spent on this piece were also destroyed alongside it. 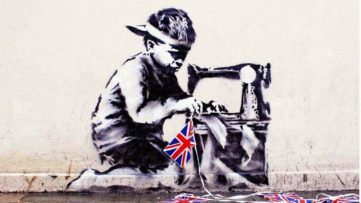 As it turns out the buyer, a female European collector and a longstanding client of Sotheby’s, is proceeding with the purchase at the same price as was achieved in the room on the night, and she even obtained a certificate by Pest Control, Banksy’s authentication website. When the hammer came down last week and the work was shredded, I was at first shocked, but gradually I began to realise that I would end up with my own piece of art history. And so, what used to be one out of 25 framed prints of Girl with Balloon is now a unique Banksy artwork titled Love is in the Bin. Banksy didn’t destroy an artwork in the auction, he created one. Following his surprise intervention on the night, we are pleased to confirm the sale of the artist’s newly-titled Love is in the Bin, the first artwork in history to have been created live during an auction. It should also be mentioned that Love is in the Bin will be on view to the public in Sotheby’s New Bond Street galleries on Saturday and Sunday 13th and 14th October, 2018 from noon until 5pm. Last entry at 4.40pm. Featured image: Banksy – Love is in the Bin, 2018, via Sotheby’s.